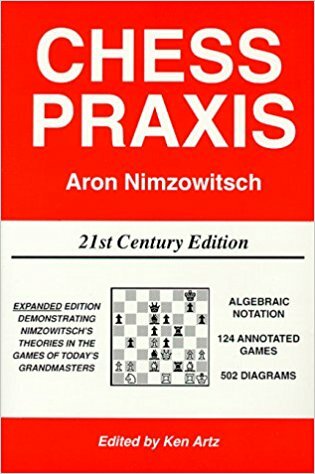 This classic by Aron Nimzowitsch is one of the best selling and most instructive chess books of all time and is the companion volume to MY SYSTEM. This is the fullest exposition of Nimzowitsch's new analysis and theories, and it is beyond question one of the dozen most important books ever written on chess. The development of the author’s ideas is both rich and extremely clear. Each possible maneuver is illustrated by at least two games, demonstrating Nimzowitsch's surprising resources against some of the world’s strongest players. All games are closely analyzed. Fifteen games from modern times have been added to the original 109 games annotated by Nimzowitsch. This is a book which every serious chess player must own.